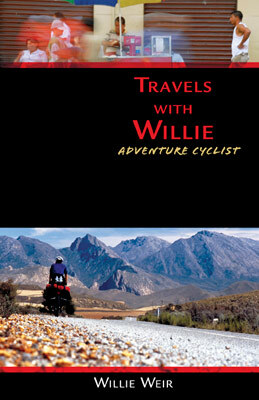 Willie Weir has been writing for Adventure Cyclist magazine for over 20 years. 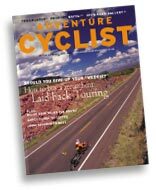 This publication is one of the few devoted exclusively to promoting the bicycle as a vehicle for travel and adventure. It is sent out to members of the Adventure Cycling Association nine times a year. If you like the articles you read below, why not become a member? Just click on the magazine cover for more information. Beth is the perfect example of "it's never to late to start traveling by bike"